What if you ran the numbers for wind power replacing all fossil fuel and nuclear electricity in Canada? How could it work? How much would it cost? 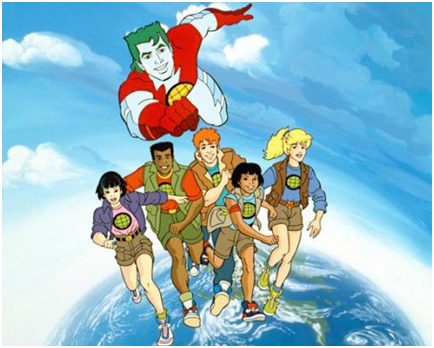 As a kid, I really loved the TV series Captain Planet. I used to play it in the school yard with my friends and I always wanted to be the one with the wind power. Mostly because my favourite colour is blue, but also because I thought the girl with the wind power was tough. Refreshingly, the introduction to the paper has what I like to call real talk about climate change. He points out that the last time global average temperatures increased by 1oC, sea levels were 6.6 – 9.4m higher, which means ‘clearly, large and rapid reductions in emissions of CO2 and other greenhouse gases are required on a worldwide basis’. Of global greenhouse gas emissions electricity counts for about 25%, and while there have been studies in the US and Europe looking at the spacing of wind farms to reduce variability for large scale electricity generation, no-one has looked at Canada yet. So how does Canada stack up? Really well. In fact, the paper found that Canada has equivalent wind energy available for many times the current demand for electricity! The researcher looked at onshore wind and offshore wind for 30m, 50m and 80m above the ground for each season to calculate the average wind speed and power generation. Taking into account the wake effect of other turbines and eliminating areas that can’t have wind farms like cities, mountains above 1,600m elevation (to avoid wind farms on the Rocky Mountains), shorelines (to avoid wind farms on your beach) and wetlands, the paper took the Wind Energy Atlas and broke the map into cells. For calculating your wind farm potential there are generally three options; you can maximise the electricity production, maximise the capacity factor, or minimise the cost of the electricity. The paper looked at all three options and found that the best overall option (which gives you a better average cost in some cases) was to aim for maximum capacity. Using wind data and electricity demand data from 2007, the researcher ran the numbers. In 2007, the total capacity of fossil fuel and nuclear electricity was 49.0GW (Gigawatts), or 249.8TWh (Terrawatt hours) of generation. This is 40% of the total national electricity capacity for Canada of 123.9GW or 616.3TWh generation. To deal with the issue of wind power being intermittent, the paper noted that there’s already the storage capacity for several years electricity through hydro in Quebec and Manitoba, as well as many other options for supply-demand mismatches (which this paper doesn’t address) making a national wind electricity grid feasible. To run the numbers, the country was split into 5 sectors and starting with the sector with the greatest wind energy potential, the numbers were run until a combination was found where the wind energy in each sector met the national fossil fuel and nuclear requirements. Once the researcher worked out that you could power the whole country’s fossil fuel and nuclear electricity with the wind energy from any sector, he looked at minimising costs and meeting the demand required for each province. He looked at what size of wind farm would be needed, and then calculated the costs for infrastructure (building the turbines) as well as transmission (getting the electricity from the farm to the demand). Some offshore wind in BC, Hudson Bay, and Newfoundland and Labrador, combined with some onshore wind in the prairies and Quebec and that’s all we need. The cost recovery for the investment on the infrastructure was calculated for 20 years for the turbines and 40 years for the transmission lines. The paper found that minimising transmission line distance resulted in the largest waste generation in winter, but smallest waste in the summer, however overall, the best method was to aim for maximising the capacity factor for the wind farms. But the important question – how much would your power cost? On average, 5-7 cents per kWh (kilowatt hour), which is on par with the 7c/kWh that BC Hydro currently charges in Vancouver. Extra bonus – wind power comes without needing to mine coal or store radioactive nuclear waste for millions of years! Some more food for thought – the researcher noted that the estimated cost for coal fired electricity with (still unproven) carbon capture and storage technology is likely to be around 9c/kWh, while the current cost for nuclear generated electricity is between 10-23c/kWh. Also, the technical capacity factor for turbines is likely to increase as the technology rapidly improves, which will reduce the cost of producing wind electricity all over again. This is all great news – Canada has the wind energy and the potential to build a new industry to not only wean ourselves off the fossil fuels that are damaging and destabilising our atmosphere, but to export that knowledge as well. We can be an energy superpower for 21st Century fuels, not fossil fuels. I say let’s do it!